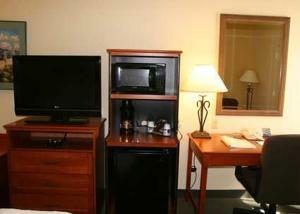 The Hampton Inn Phoenix/Scottsdale * Shea Blvd. hotel is located in the center of Scottsdale Arizona 1.5 blocks south of Shea Boulevard on the east side of Scottsdale Road. Our location is just minutes away from the Scottsdale Airpark Business District Mayo Clinic Scottsdale Memorial Hospital Westworld and Rawhide. This Hampton Inn hotel is conveniently located in one of Scottsdale*s most prestigious communities surrounded by golf tennis parks and 22 fabulous restaurants within walking distance. All rooms at the Hampton Inn in Scottsdale hotel features complimentary high speed internet access microwaves refrigerators 25 inch remote-control televisions complimentary cable and HBO. We also offer a buffet breakfast with hot items heated outdoor pool and whirlpool exercise room valet service available Monday through Saturday and room service provided by Romano*s Macaroni Grill. 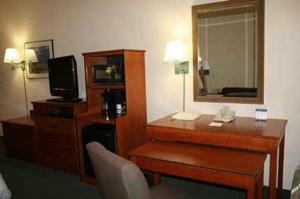 Our business center is also equipped with complimentary high-speed internet access. We love having you at the Hampton Inn Phoenix/Scottsdale hotel in Arizona.